Yet there is nothing stated about a license. Remember most of the STM control system can be considered a very small scale 'mechanical bot. Perhaps we could do EDM with it an write instead of just reading? Or remove material in other ways, because I'm not very sure about material properties at that scale. 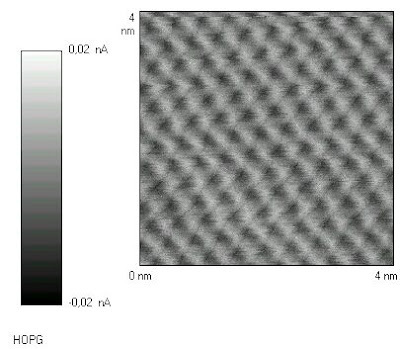 In the context of AFM, one proposed writing technology is known as dip pen lithography. As to properties on that scale, an effect vaguely similar to EDM might be achieved via the phenomenon of electromigration, but that would be tricky to control. If you relax any commitment to direct writing, and are willing to explore ways of patterning a resist layer, you might have access to vapor deposition, liquid-phase processing, and the whole host of technologies that semiconductor fabrication has developed so completely. Adrian: You certainly got in on the ground floor for open source hardware development with Reprap. It's getting really interesting now with projects like this coming on line. 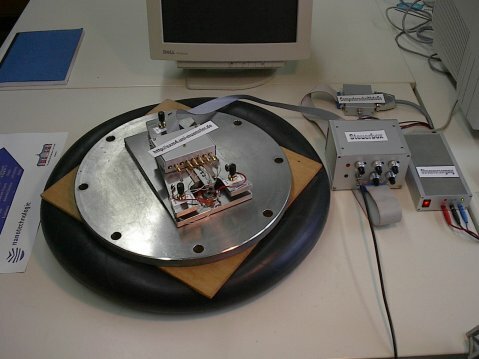 ... you can buy 'low-cost' piezo drives with controllers for some ten to hundred USD and assemble your own nanostage. I have some 'fingertip'-drives bought 9 years ago for 60 USD per demo-kit and some piezolegs bought 8 years ago for 400 Euros per drive and controller. This sort of linear piezo-drives have travelling ranges of some ten millimeters and around 100 nanometers per 'step' ... if needing higher resolution, you can change the driver and apply a bending mode between the coarse steps, as known with tne bulk-PZT's. My "Nano-3Axis-stages" have 22x22x22mm travelling range in step-mode, 100nm resolution, 8mm/s max. speed and 4N max. stall force.